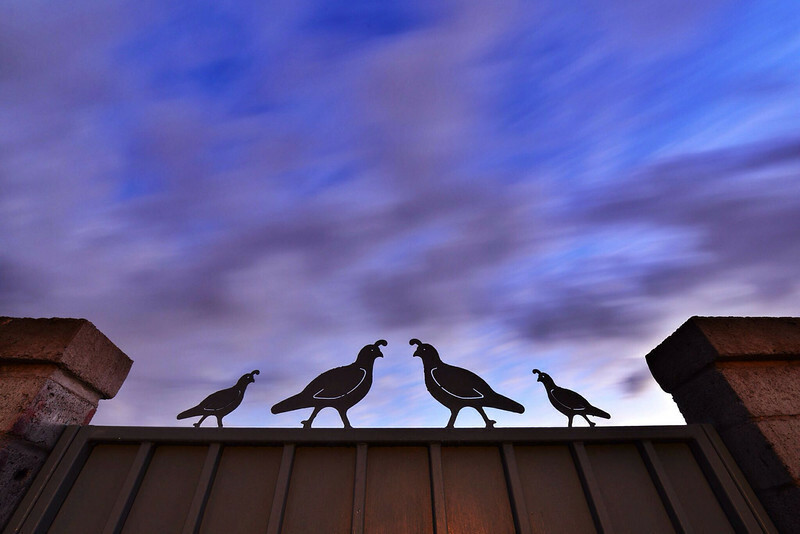 Dusk clouds passing over my mom-in-law's quail-topped gate. My ultra-wide lens helped to get the composition I wanted. I took a photo of the same thing last year on 12/28 and I remember really struggling with the angle to compose a decent photo.